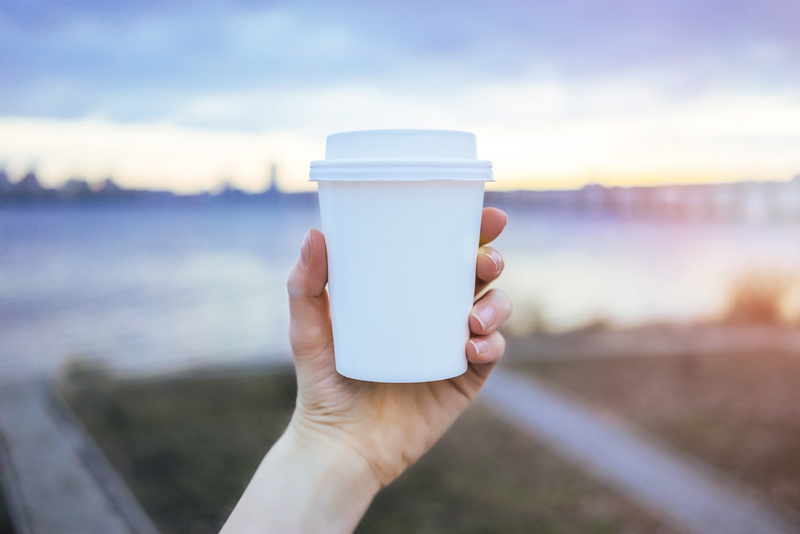 From flat white fanatics to filter coffee enthusiasts, almost every caffeine fan has enjoyed their favourite drink in a takeaway cup at one time or another. For many it’s a regular occurrence. 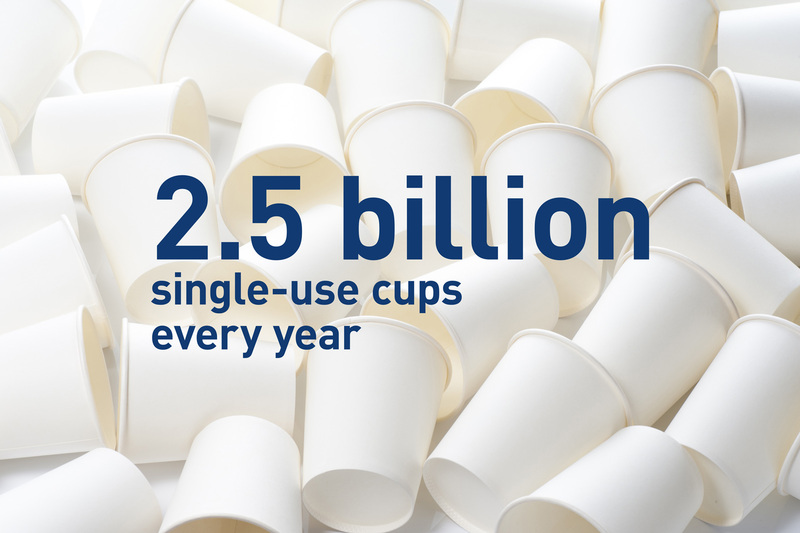 In fact, single-use cups are now so common, they’re starting to cause big litter problems. No coffee shop wants to see litter on their doorstep – especially if it bears their valuable brand name. So it’s in all our interests to improve the situation. You can’t write about coffee cup waste without mentioning the debate around whether single-use cups are recyclable. For anyone who hasn’t followed the ins and outs of the debate, the answer is yes – and no. On the whole, cups are technically recyclable, but the process is complicated and costly enough to stop it being a widely available option. Until the options for recycling improve, what can we do to reduce the number of cups that end up littering our streets? Before trying to change behaviour, we have to change the way people think. 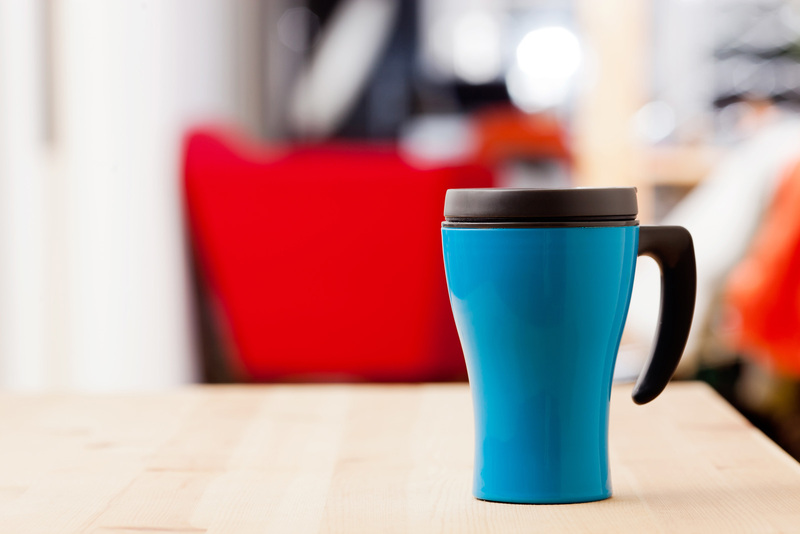 When cups leave the coffee shop, they have a purpose – to hold a hot drink. When empty, they don’t. We need to make people realise that if they’re not put in a bin, they’re just litter. Hugh Fearnley-Whittingstall’s ‘War on Waste’ TV programme managed to drum up enough public pressure to make one major supermarket remove certain coffee products – disposable cups to use at home - from its shelves. The campaign also had a hand in persuading Starbucks to overhaul their incentives for reusable cup owners. The Zero Waste Scotland toolkit includes resources to help you spread the word about coffee cup and other food packaging litter in your local area - all for free. More than fifteen years on from the first Starbucks store opening in Scotland, we’ve become a nation with a thriving on-the-go coffee culture – one that is contributing to our litter problem. 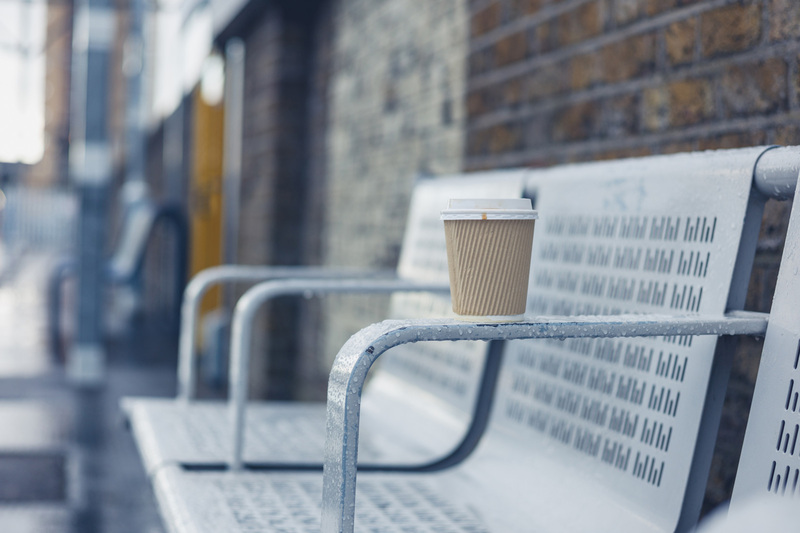 Singling out one form of litter might seem heavy-handed, but with 2.5 billion single-use cups given out in the UK every year, the numbers undoubtedly justify the means. Making a pot or a cup of coffee at home isn’t difficult – and tastes pretty good too. So why do people shun this option, choosing to grab a coffee on the go instead – and paying more than three times the price for the privilege? For one, carrying a cafetière around is tricky. Or maybe they hadn’t planned to indulge, but needed an extra caffeine boost. Essentially, it all comes down to convenience. Any initiative that tackles coffee cup littering should also have convenience at its heart. The challenge is undoubtedly to promote reusable cups as far as possible. That’s exactly what’s happening around the world. 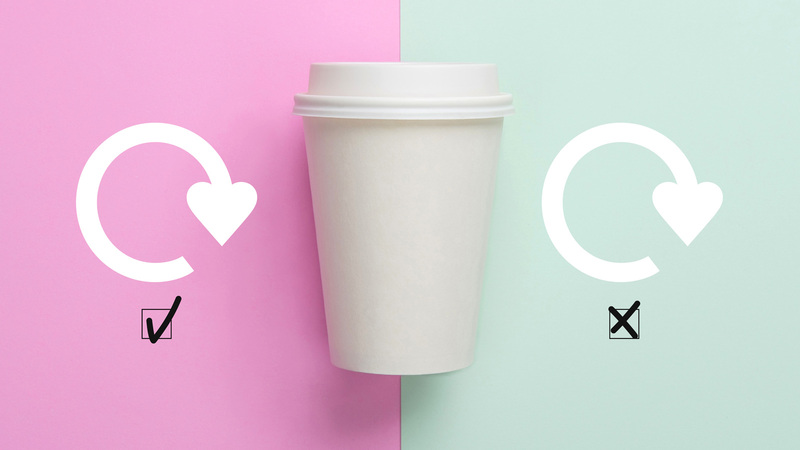 Local authorities in Freiburg, Germany launched a region-wide reusable cup scheme in which a network of cafes and bakeries handled all the logistics – collecting, washing, redistributing. Coffee lovers could join the scheme for a €1 fee. They simply return their used cup to a participating outlet and get their next coffee served in another re-usable cup. The small charge made it easy to join and the convenience made it easy to use. You can’t put a price on convenience – or can you? Starbucks offers a 25p discount to anyone who brings their own cup – prompting 235% more people to make the switch in the period 2008-2012 than in previous years. Costa took a different tack during 2016, donating 25p to Keep Scotland Beautiful for every drink sold in a reusable cup. While customers don’t benefit directly, they do get to enjoy the feeling of ‘doing the right thing’ – a powerful motivator for many. We can’t expect people to behave responsibly if we don’t tell them what ‘responsibly’ is. Environmental charity, Hubbub, decided to make that responsibility crystal clear – by installing bins shaped like giant coffee cups branded with ‘Recycle your coffee cup here’. The Manchester-based #1MoreShot scheme smashed its target of collecting 20,000 cups – cups that might otherwise have ended up as litter. Cardboard sleeves are the only part of the coffee cup that’s universally recyclable. But most people don’t know that. Help people to dispose of their waste by clearly labelling each part of the cup individually. 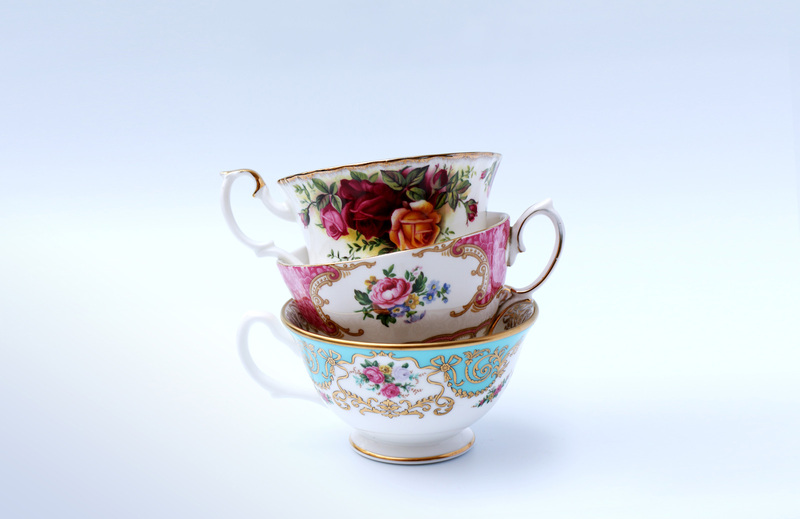 Then reinforce the message, by telling customers how to treat each part of the cup. If possible, you could even consider doing away with the cardboard sleeves. Even people who wouldn’t dream of littering in normal circumstances seem to behave differently at big events such as festivals and sports matches. Trapped in the crowd, they’ll carefully place their cup on the ground - only to forget, or neglect, to pick it up later. That’s where getting creative with bins comes in. Cup-stacking tubes – like those created by litter prevention charity Zilch – are compact enough to squeeze in along exit routes. They also reduce demand for regular bins, reducing the chances of other rubbish ending up as litter. In other areas, coffee cup litter might be caused by cups being blown out of the bin, rather than being dropped on the floor in the first place. A problem easily solved by lidded bins. If you sell take-away drinks and want to show you’re serious about reducing the number of coffee cups left littering our streets — ditch single-use cups altogether. As extreme as it sounds, there are instances where this has been shown to work. The Eden Café at Otago Polytechnic University in New Zealand banned single-use cups and provided second-hand china instead. These cups can be left at drop-off sites dotted around the campus where they are collected, washed and reused. Pumpkin Brown café in Edinburgh have shown that taking matters out of customers’ hands might also be the answer to the coffee cup recycling quandary – by using nothing but compostable packaging for all takeaway food – including coffee.